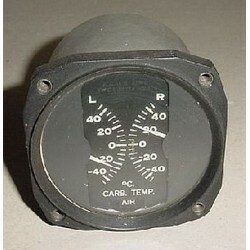 WWII Aircraft Douglas A-20 Havoc Carburetor Air Temperature Indicator. 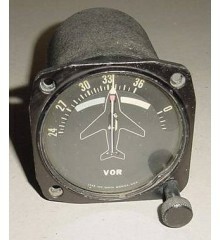 Manufactured by The Hickok Electric Instrument Co. P/N 6011. Spec no 94-27997. Order no 42-21331-P. Sold for display only, as is, no returns.